When it’s time for a cow to calve they’ll often pull away from the herd & go off by themselves to give birth. 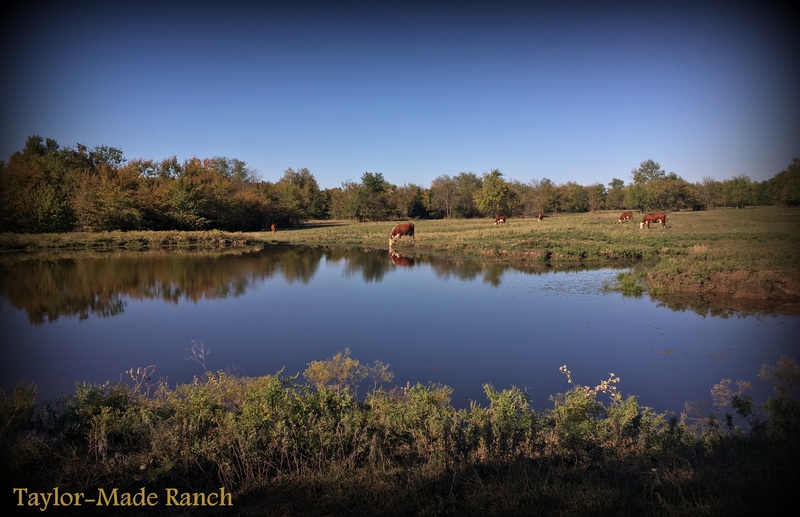 So when we’re out standing in the middle of the herd doing a head count and one’s missing we have to wonder – is it just one of the smaller calves? Maybe it’s a cow laying just around the corner? Or is it the cow we’re watching and waiting to calve? 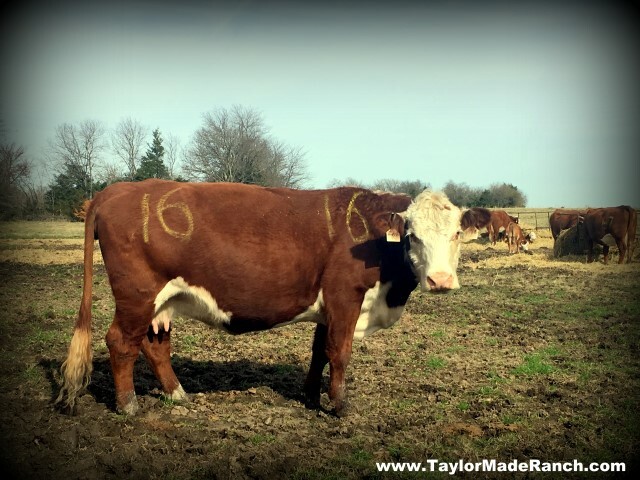 We’ve found an easy way to keep tabs on individual cows. While these particular animals were in the chute for working we used a *Weather-Resistant Livestock Marker & marked the last 2 numbers of their ID ear tags on either side of their rump and up at their shoulders too. We marked the pending new mama cows in bright yellow, and the ones we drew blood from to send off to PG test we marked in bright pink. Now if we’re missing a cow we can quickly locate the few that are awaiting calving to see if one of them is missing. 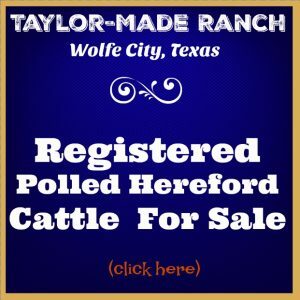 And if the bull is following a cow we can tell at a distance if it’s one we tested that came back open (or even if their results came back bred) Those notes are then transferred to our cattle records so we’ll have a better idea of when to expect their calving. We like to work smarter, not harder! Heifer Wins 2nd Place In Show! 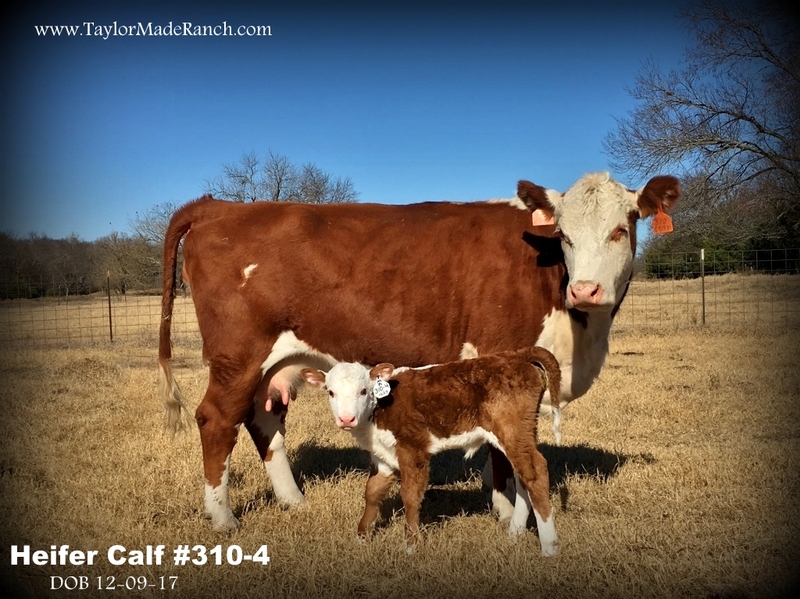 Back in September a family came looking for a calf to raise as a show heifer. 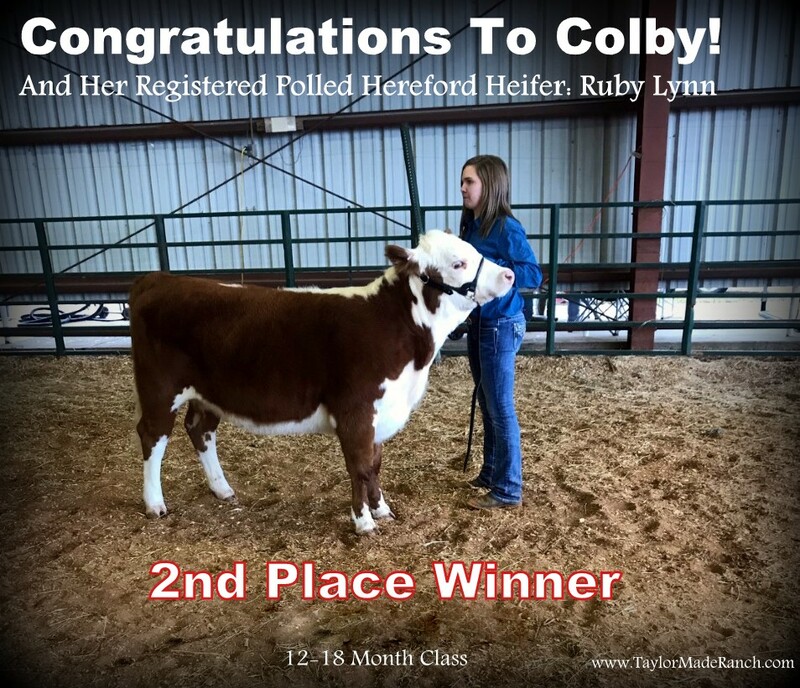 They bought our heifer #310-4 and Colby named her ‘Ruby Lynn’. In her very first show Ruby Lynn won 4th place. How exciting! 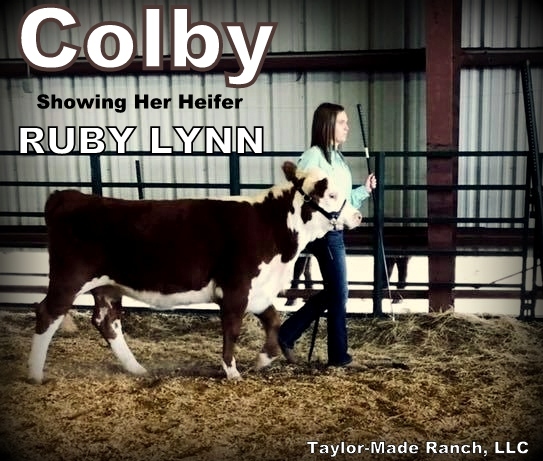 But Colby showed her in a second show recently and this time Ruby Lynn won 2nd place! The judge made positive comments about how competitive her heifer was. 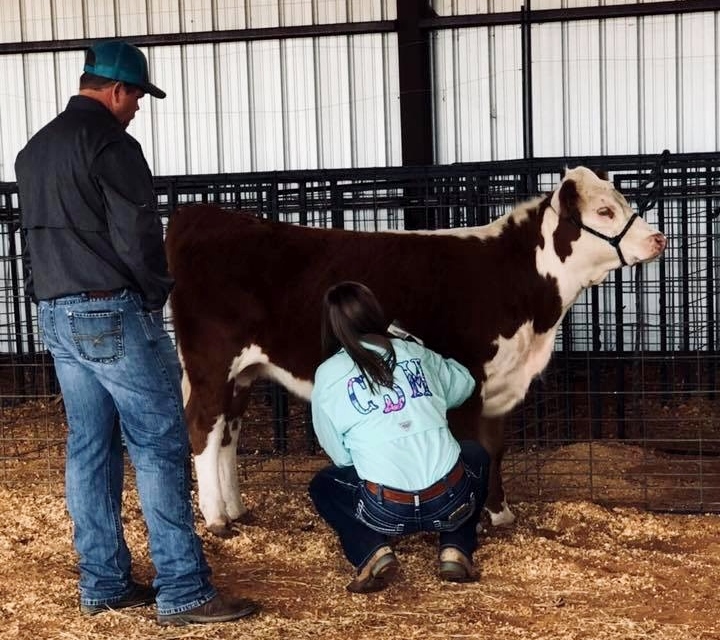 There’s so much work involved for these kids when raising and showing a heifer. We’re so proud of this young lady and her commitment to Ruby Lynn. WTG Colby! 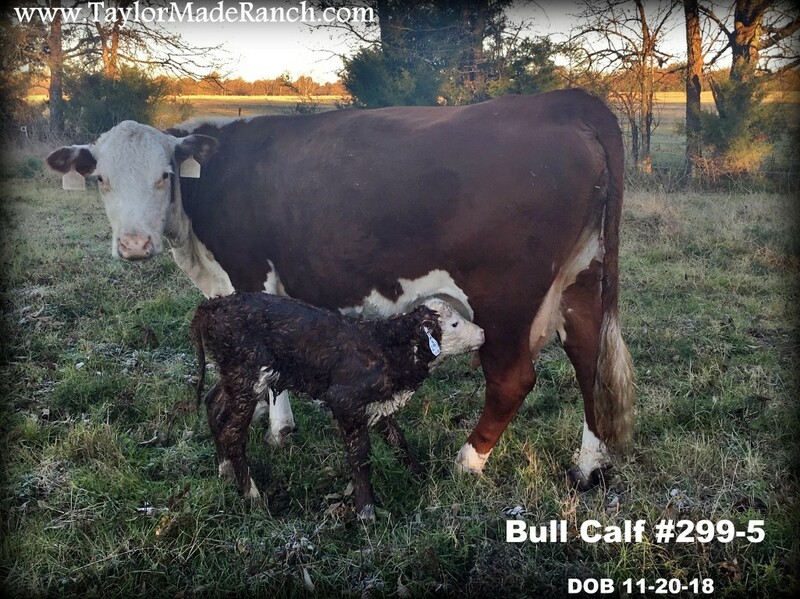 Born on this frosty November morning, #299 presented us with her newest boy. Born at 85 lbs, his coat is delightfully dark and thankfully for him he’s nice & fuzzy too. That should help keep him warm for the cold days ahead. Welcome to the ranch, little one! Well Ruby Lynn competed in her first show recently and won 4th place! 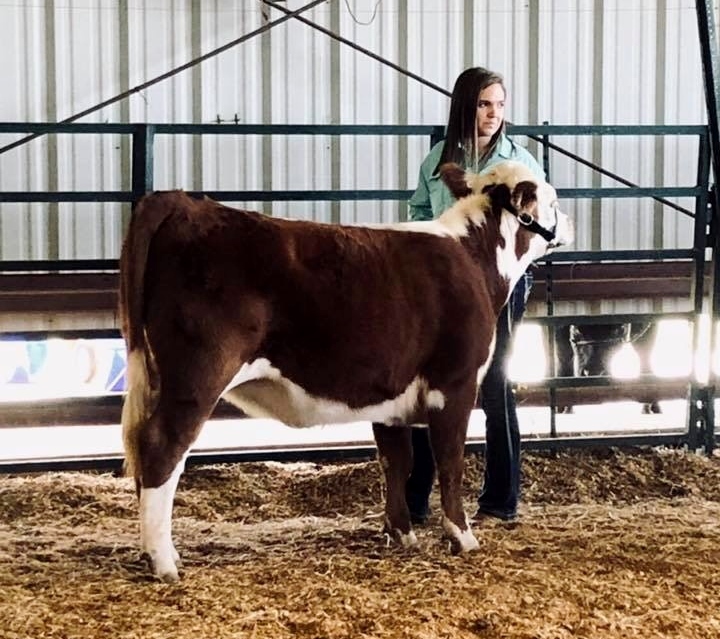 We’re so proud of this young lady and her commitment to her show heifer. WTG Colby! 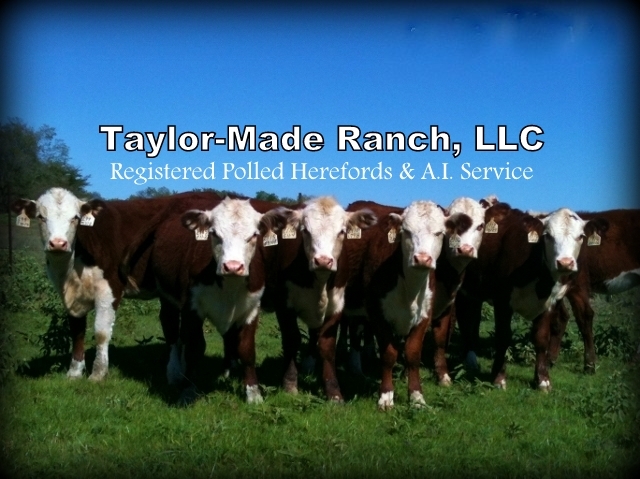 The latest 6 registered Polled Hereford weanlings are doing quite well. We fence-line wean to keep their dams close by during the initial weaning process. This eases the stress for both calf and dam. But they’re now ready for us to move their dams a little further away. Next week the calves will receive their boosters and be ready to be listed for sale. Be watching! New Calf Born At TMR! 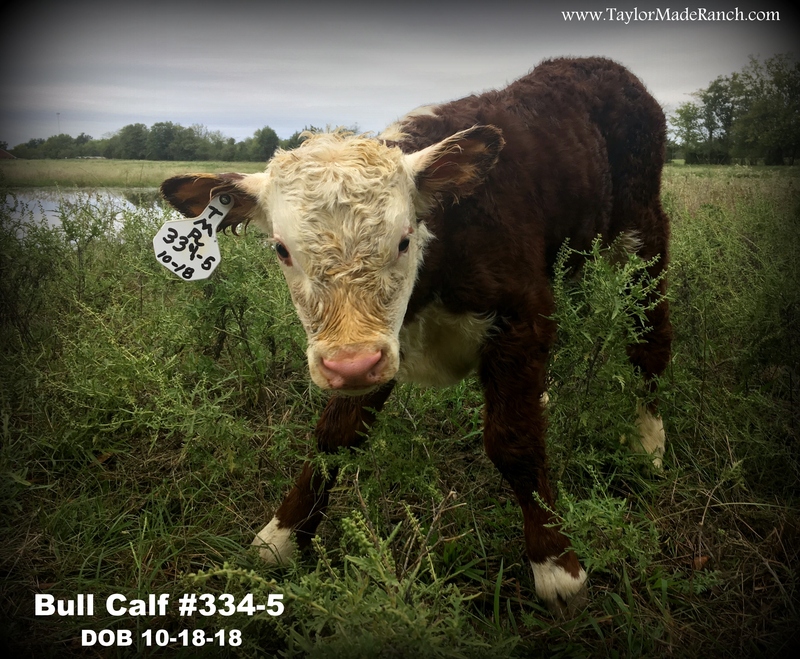 Dam #334 presented us with a fine, chunky 89-lb bull calf this morning. As always with our calving-ease bull she delivered him just fine all on her own. He’s nice & dark with pigment around both eyes – two features we always strive for. Gorgeous! Welcome to the ranch, big boy! 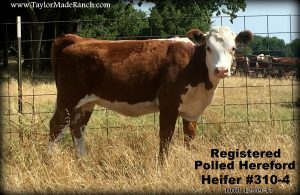 This pretty heifer is headed to east Texas. She was sold this morning to a young lady who will raise her to show. Goodbye sweet girl, make us proud! Awwww… This beautiful girl is all grown up! Today we moved her out of the yearling pen & placed her into the herd with our herd sire. She’s gorgeous and we wanted to retain her to keep her dam’s genetics in our herd. Can’t wait to see her calves! 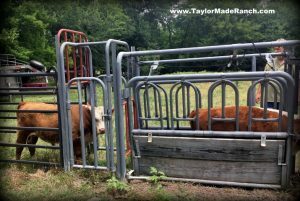 It’s oftentimes difficult to work calves. Especially weaning calves. I mean, they’ve been separated from their dams and suddenly their whole world has changed. They might not trust anything or anyone. 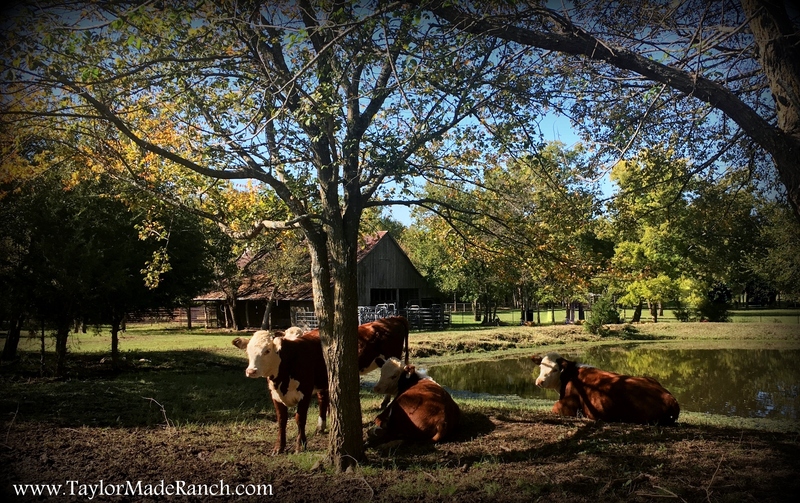 But thankfully our calves know that we are careful caregivers and they do not fear us. We worked them without giving them stress at all, they even exited the chute calmly and at a un-frightened pace. Gotta love it! 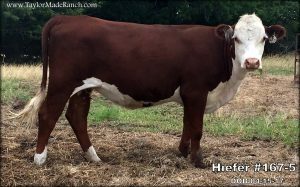 This registered polled Hereford heifer and commercial Hereford bull will be available in 3 weeks after they’ve received their boosters. Be watching! 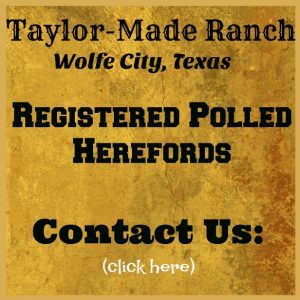 In the meantime, check out our current offerings.